We get to ease into Summer with Spring temperates forecast for this weekend before hitting the mid 30’s at the start of next week. 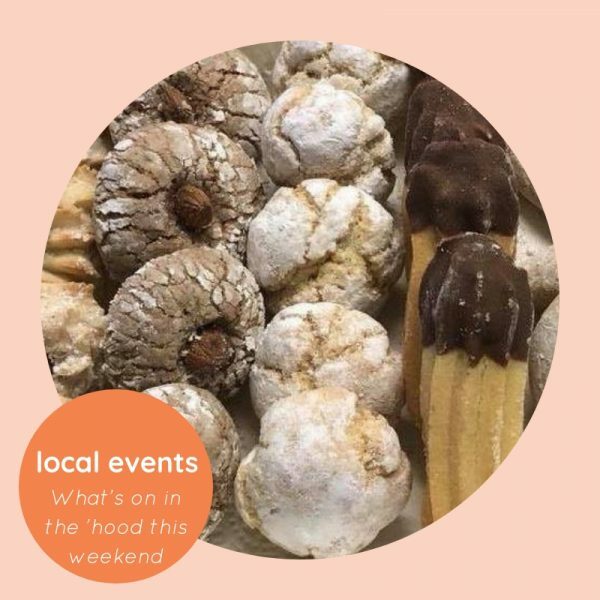 Here’s a taste of what’s on in the ‘hood this weekend/week. Grab some dinner at the Mount Hawthorn Hawkers Market and then head up to the first instalment of The Night Market at The Art Garage 191 from 5 to 8pm. There’ll be lots of stalls by local artists as well as local charity groups. A great place to do a spot of Christmas shopping. Entry by gold coin donation. The Christmas Edition of the Provedores Market in Mount Hawthorn is on all day from 9am to 5pm. It’s set to be their biggest market yet with 20 food & drink stalls and 15 creative/maker stalls plus there’s Spritz’s at their licensed Bar to enjoy. It’s the first Sunday of the month so Transition Town Bayswater are hosting their monthly Seed Library & Share your Spare morning tea from 10 to 11am where you’re invited to join fellow locals and gardeners for morning tea, having a browse through their seed library and share your home grown garden produce, gardening tips and more. Keen to get your kids and tweens away from their screens? Then check out Nature Explorers- Riverside Gardens . It’s a FREE family event starting at 9:30am to introduce Nearer to Nature’s new location. There’ll be a bird walk, talk on river dolphins, a Captain Cleanup show and more. Registration essential. Love handbags? Love a handbag bargain? Then check out The Champagne Project Annual Pre-Xmas Pop-Up Sale from 10:30am to 12:30pm at 38 Ruby Street, North Perth. There’ll be lots of designer handbags and accessories for sale all at a discount to the RRP. And that’s a wrap for this week! Safe travels and enjoy.